Learning how to caramelize onions is a kitchen task that any cook should be able to do. 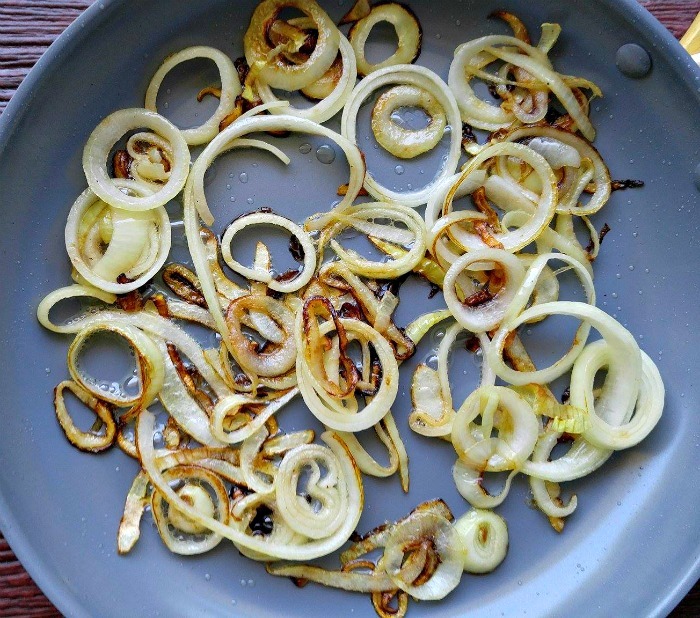 Caramelized onions taste great on so many foods, but can be a little tricky to master. These cooking tips will help you make perfect caramelized onions every time. There is nothing quite like the taste of caramelized onions. Most onions have a bitter taste but caramelizing them releases the sugars and gives them a whole new taste that is just amazing. Perfect caramelized onions take time to master. It is a crucial step in the process and one that you can’t hurry. Two common mistakes are trying to cook them too quickly as well as removing them from the pan too soon. Few vegetables can turn a blah tasting dish into a master piece as well as onions that have been beautifully browned on the stove top. 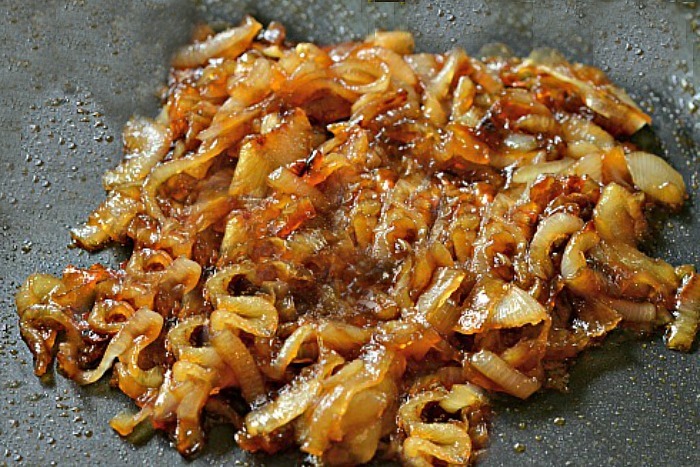 Follow these tips for perfect caramelized onions that you can use in so many ways. To get the right thickness when you caramelize onions, go for a medium thickness slice. 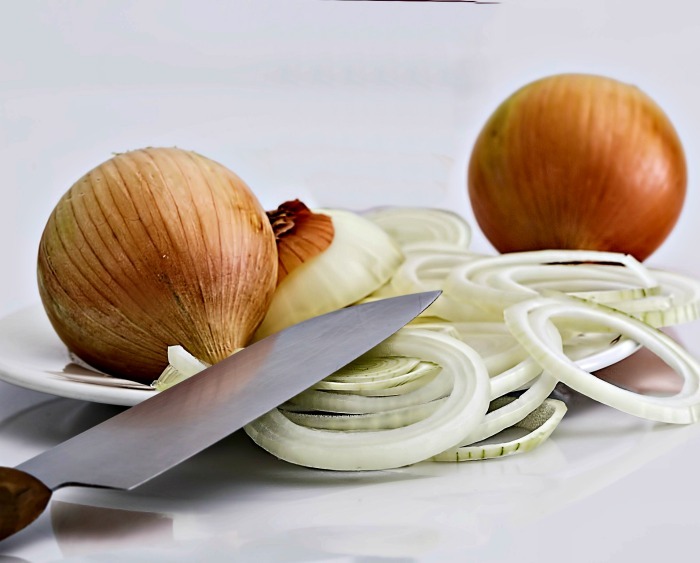 If you slice the onions too thinly, they will stick to the bottom of your pan and burn very easily. Thicker slices are also plumper when cooked and more attractive when used as garnishes for other foods. I try to slice mine about 1/8″ or just a bit thicker for this process. You can also chop them into chunks and they will caramelize, as well. If you dump the onions in a pan and turn the heat up high, they will burn every. single. time. You’ll end up with a batch of blackened onions that can only be used in the trash bin. To get that candy sweet, brown finish means that you will have to take some time to prepare them. The onions will start to soften up in about 10 minutes. One of the most important tips in helping you to caramelize onions perfectly is to use the biggest pan you have and don’t crowd it. Yes, you will cook them faster if you don’t have to cook the onions in batches but instead of giving you the lovely caramelized taste and color, the onions will end up steaming if you put too many in the pan and that is not what you want. Use a big pan, spread them out and cook them in batches until they are done. This tip about about not crowding the pan is not just for onions. Caramelized mushrooms have the same rule. What type of onion will work? 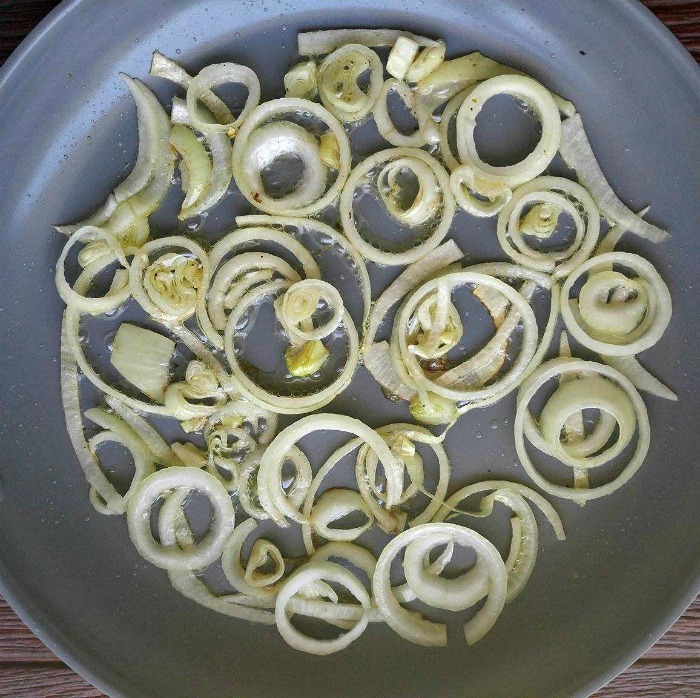 You can caramelize any type of onion from normal yellow onions, to shallots and on to vidalia onions. 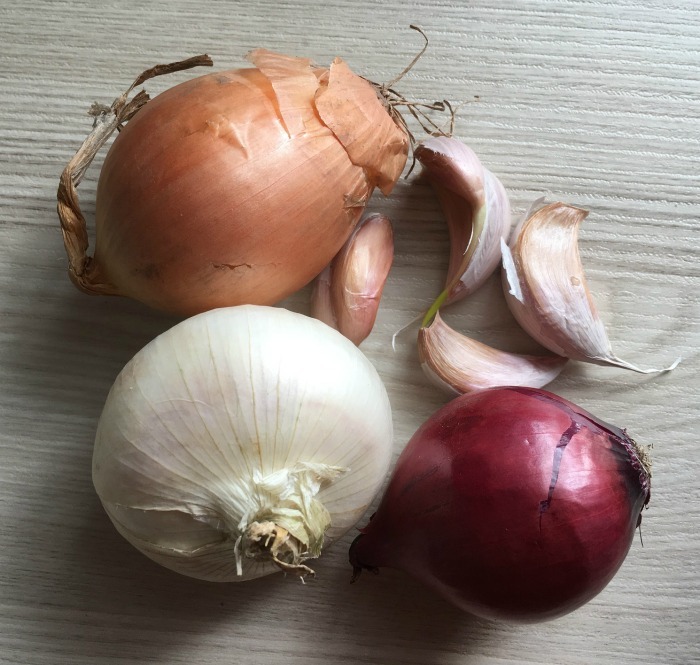 The yellow ones are probably the easiest and most versatile but red onions give a great color and the smaller shallots have a nice sweetness to start with, so they end up sugary sweet at the end. You may be tempted to use just butter in the pan, thinking that the onions will taste better when done, but butter has a low smoke point and burns easily. I use clarified butter and coconut oil to caramelize my onions. Both are part of a Paleo diet and I follow this eating plan most of the time. Using clarified butter also makes the caramelized onions fit into the Whole30 diet plan. The onions end up with a lovely buttery sweet taste and both butter and coconut oil has a high smoke point that can take longer cooking times. 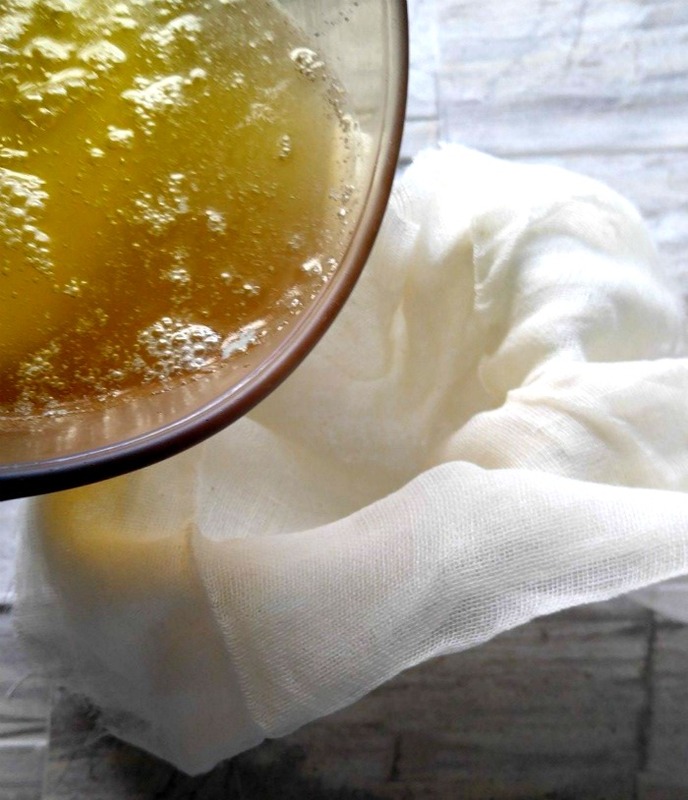 You can also use ghee, olive oil, or other oil and butter combinations. Don’t crank up the heat. I know, I know…you won’t those onions done NOW, so the temptation is to turn up the heat to high so they will be done, gosh darn it! Remember this is a process of gently cooking the onions to coax out their maximum sweet flavor. This takes time. No cheating, no short cuts and NO HIGH HEAT! Medium low heat is best. At about 20 minutes the onions will start to get quite soft and begin to brown. You are not sauteing onions for this cooking tasl. You are looking for nicely browned onions that are not too mushy, full of flavor and sweet. If you say “they’ve cooked long enough and “I want to eat them now” and remove them early, you’ve missed the point. Do you want blond onions or caramelized onions? You choose? It take about 40 minutes for the onions to start getting quite brown and they will begin to have a lovely caramelized aroma. If you cook them longer, they will get even browner and have a richer taste. As the onions cook, the pan will accumulate some browned bits in the bottom. As you cook, Sscrape those up with a silicone spatula. For a richer taste, you can de-glaze the pan with a bit of wine, chicken stock or balsamic vinegar for more flavor and color. I think you have gotten the idea that this kitchen task can’t be rushed. I normally cook 2-4 onions to serve four people and it takes me 45 minutes to an hour or so. Good things are worth waiting for! If you make a large batch of these onions, you can put them into individual zip lock bags or freezer proof mason jars. They will keep for about 3 months. Store them in the fridge for about a week. Okay, you’ve got a whole pot of beautifully sweet and browned caramelized onions. What do you do with them now? There are lots of ways to use them in fast recipes and main course dishes. Check out these 10 ideas. Try them in your favorite grilled cheese sandwiches. Use them on pizzas for a new taste sensation. Take your Hummus recipe up a notch by adding caramelized onions and paprika to it. The options are really endless! Just use your imagination and let these amazing caramelized onions become the star of your next recipe. 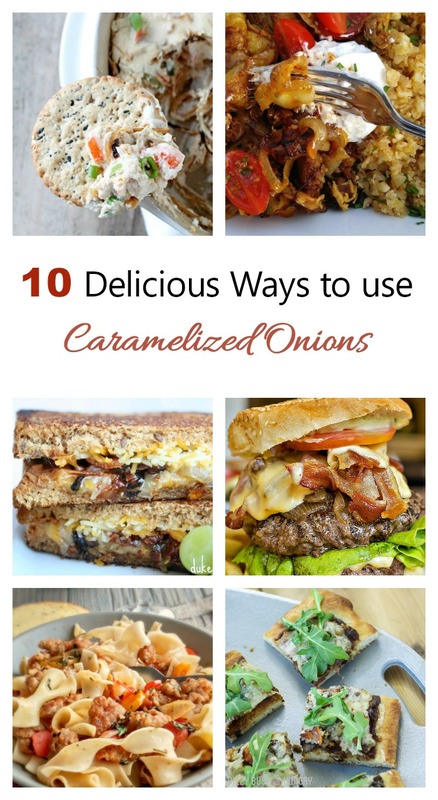 How do you use caramelized onions? Slice the onions about 1/8" thick. Melt the clarified butter and coconut oil in a pan over medium heat until they melt. Add the sliced onions: Be sure not to crowd the pan. If you have a lot to cook, use two pans or cook them in batches. Check the onions every 5 - 10 minutes. Stir the onions and scrape up any fond that forms on the bottom of the pan. 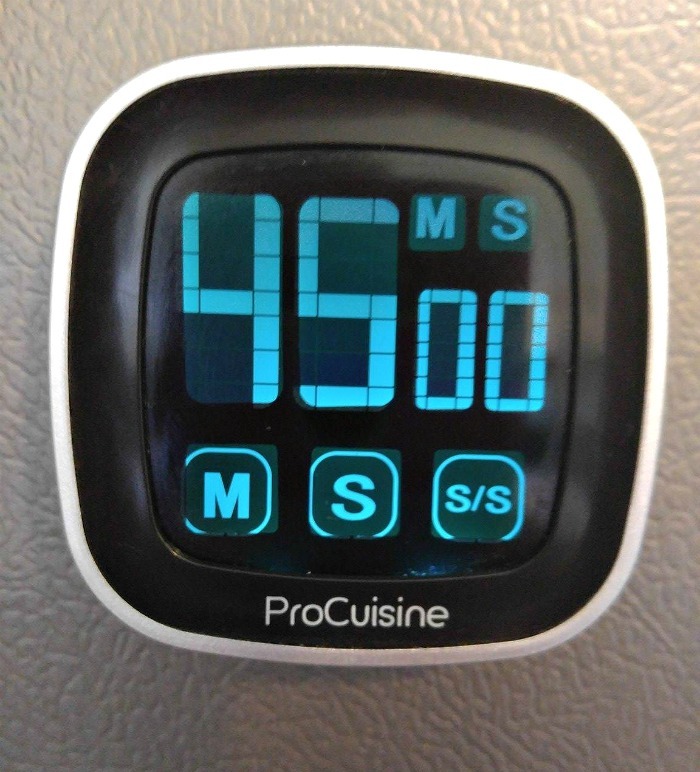 The cooking time will vary depending on the onion type and how many you are cooking. I normally plan on about 45 minutes or so to caramelize onions. The longer you cook them, the darker they will get. If you wish, de-glaze the pan at the end of the cooking time to add extra color and flavor.